Detector C8/C8 UVC is an universal portable detector for inspection of bank notes or documents. While inspecting the banknote / ID document we can display either general view or detailed view in different light spectrums by tilting the working area of the detector C8. 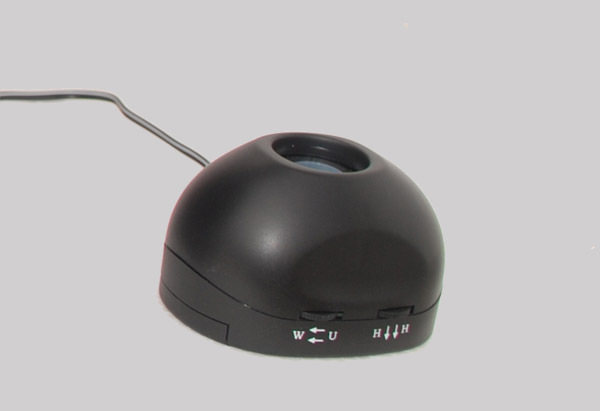 For closer inspection we can add an auxiliary micromouse C608/C609 as you can see on the picture below. Detector C12/C12 UVC is an improved model of C8 detector. Unique visualization technology and traditional checking method in one device will help you to recognize counterfeits simply and fast! Detector C12 has an additionally enhanced functionality for image capture and saving to the internal memory. All images are automatically saved to the detector's internal memory with the capacity of 2 GB. These images can be viewed directly on the device or they can be moved into the PC via USB cable for further processing. detector is connected to PC via mini USB port and the video camera can be displayed by web camera software. Try functional buttons of detector C12. Click on each button above or below the picture. You can see real reaction of detector. At the bottom you will find white textbox with the description of each function. 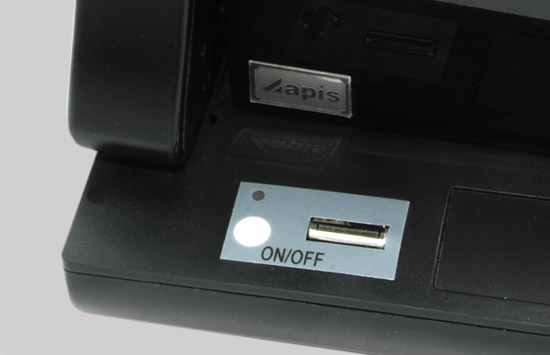 Some buttons may have more positions and may be combined with zoom function. Read carefully.